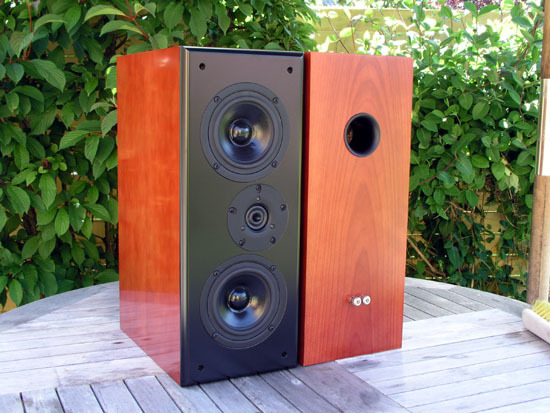 The PL14WJ09-08 is to my ears one of the most smooth sounding 5" drivers ever made and no wonder it has been a steady driver in the Tymphany program for years and years. 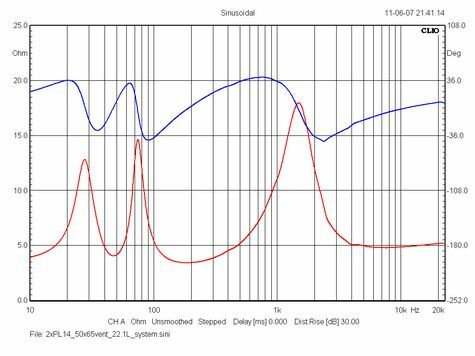 Due to cone geometry, coating and suspensions, it's got an even response all up to 7-8 kHz, allowing simple crossover construction. 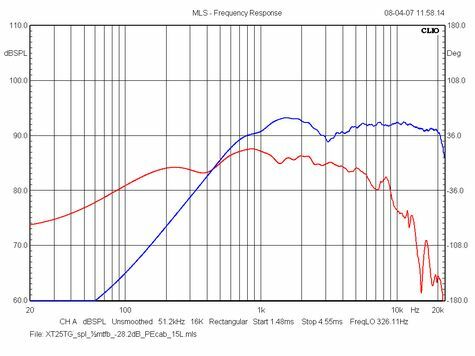 It's not particularly efficient, but the result is decent bass response down to 50 Hz in suggested cabinet. With a Qt = 0.36, it's a perfect driver for box simulation. 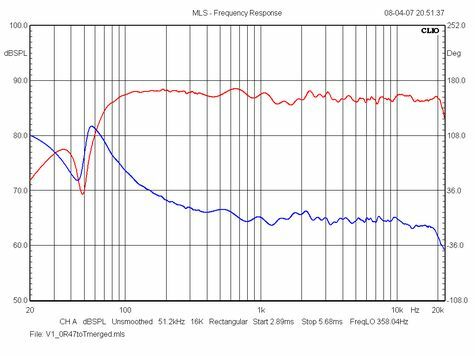 Overall system sensitivity is around 84-85 dB/2.8 volts. 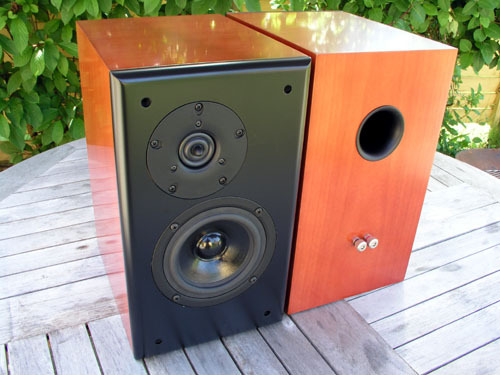 The R2604/832000 tweeter is a well-proven tweeter too, so no further comments on this driver. 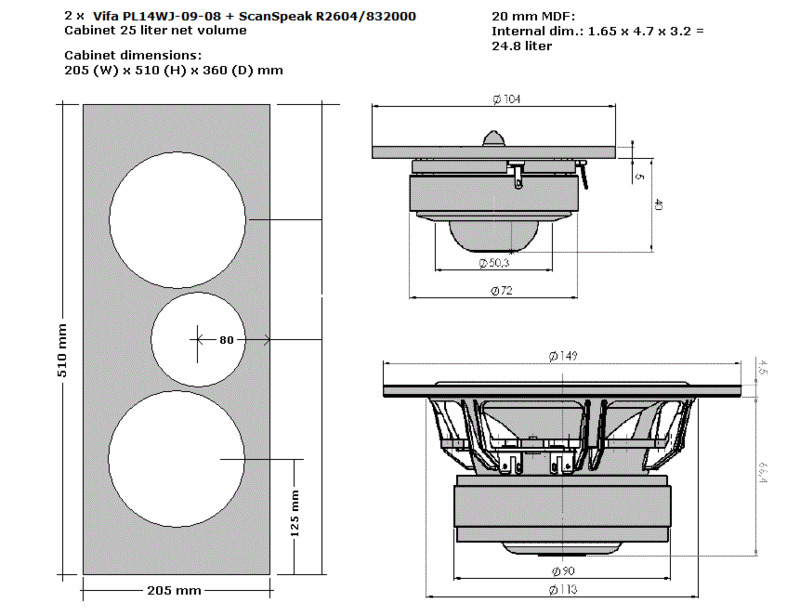 11 liter volume port dimensions can be maintained without change to overall performance. cabinet. Maintain placement of drivers with regard to upper edge of cabinet. 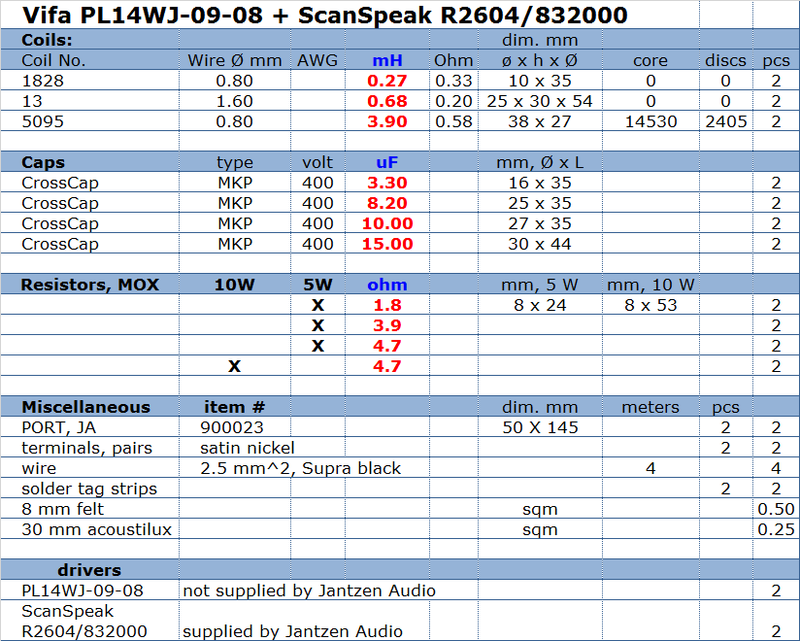 Parts list for the 2-way system. Download kit prices (zip file) here. 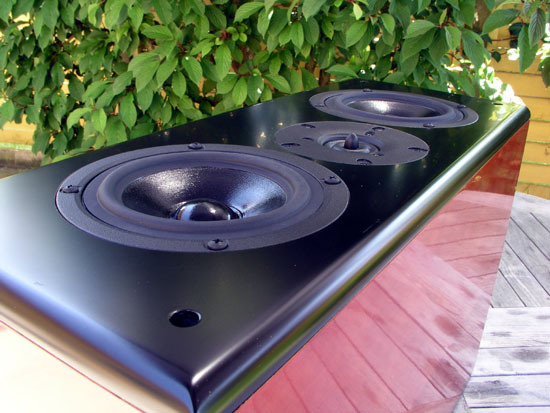 Left: SPL of drivers in cabinet without crossover. 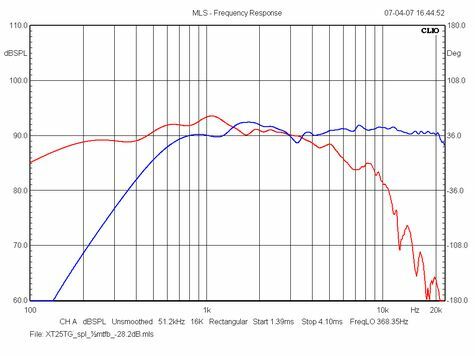 Right: Merged SPL from final system @ 2.8 volts/1 meter distance. 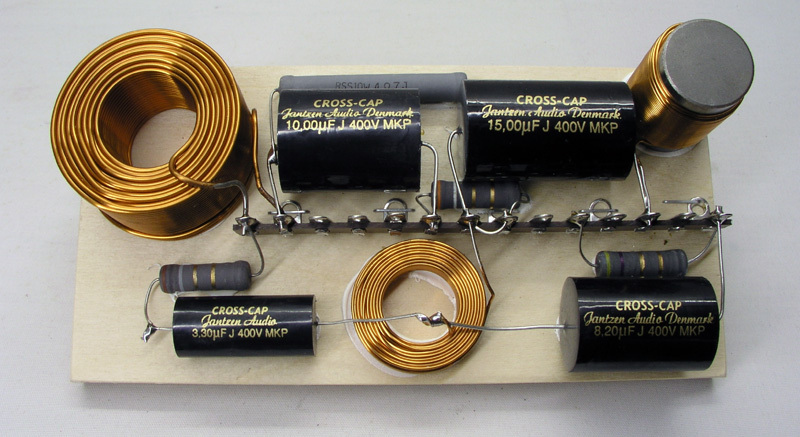 Left: Point of crossover is 3.4 kHz. Right: Final system impedance. 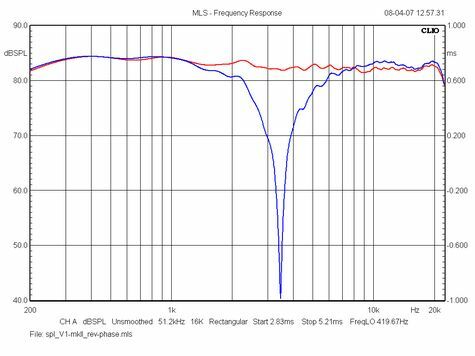 Minimum is 4 ohms at 600 Hz. Appetite for more PL14s? Here's a d'Appolito version. 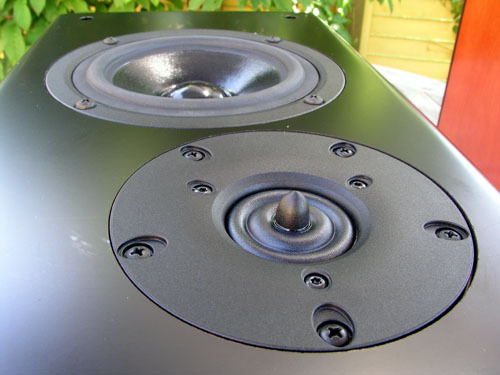 Use vent 50 (ID) x 65 mm to produce port tuning ~48 Hz. 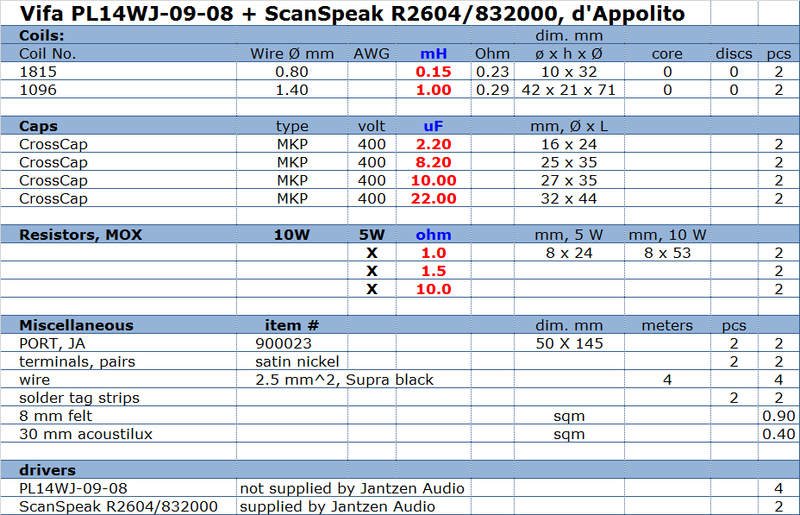 Parts list for the d'Appolito system. Download kit prices (pdf file) here. Left: SPL of drivers mounted on shown front panel. 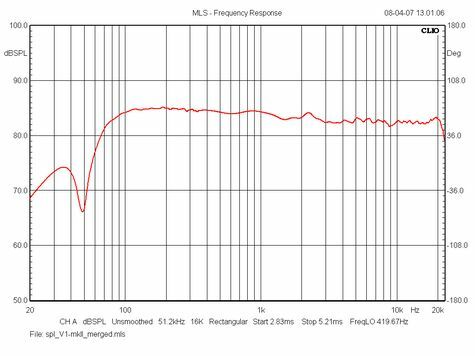 Right: SPL from finished system @ 2.8 volts, 1 meter distance. Blue = minimum phase. 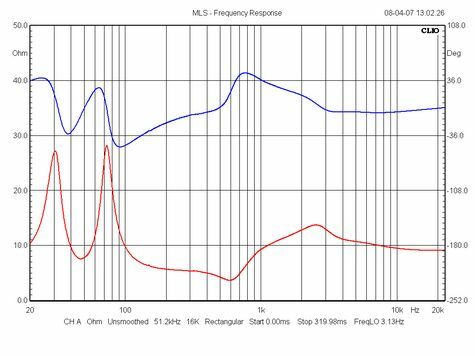 Left: Blue = inverted tweeter polarity. 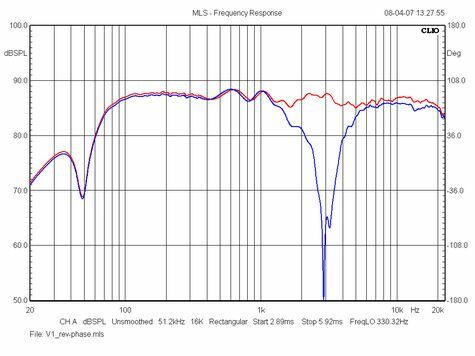 Right: System final impedance. 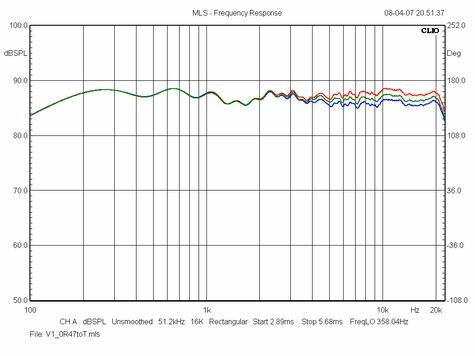 Tweeter attenuation/R1011: 0R (red), 0R47 (green), 1R0 (blue). Take your pick!